Hema Malini on Monday addressed a public rally at Dhanpur assembly constituency, the home turf of Chief Minister Manik Sarkar. 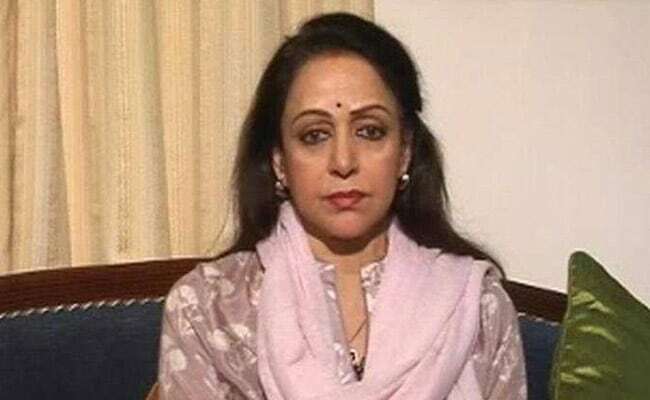 Dhanpur, Tripura: BJP MP Hema Malini on Monday said that the "poor would only become poorer" under the Left Front government in Tripura and appealed to the people to vote for a change in the state. The actor-turned-politician on Monday addressed a public rally at Dhanpur assembly constituency, the home turf of Chief Minister Manik Sarkar. Mr Sarkar had won elections from the seat for four consecutive terms since 1998. "The benefits of the pro-poor policies of the central government were only enjoyed by the cadres of the ruling CPI(M). The people of Tripura remained neglected," she said at the rally. She urged people to vote for Pratima Bhowmik, the BJP candidate from the seat, in the upcoming elections. "While coming here (Dhanpur), I came across big residential buildings and thought that people are well off in this part of the state. Upon enquiry, I found out most of these buildings were owned by CPI(M) leaders," she said. The BJP MP also led a 3-km-long road show from a market area to Kathalia HS School ground in Dhanpur.